Whenever you shop at Amazon.com, begin at AmazonSmile's portal set up for Hope for Cats. It's the same Amazon that you already know and love. The prices and service are exactly the same, too! 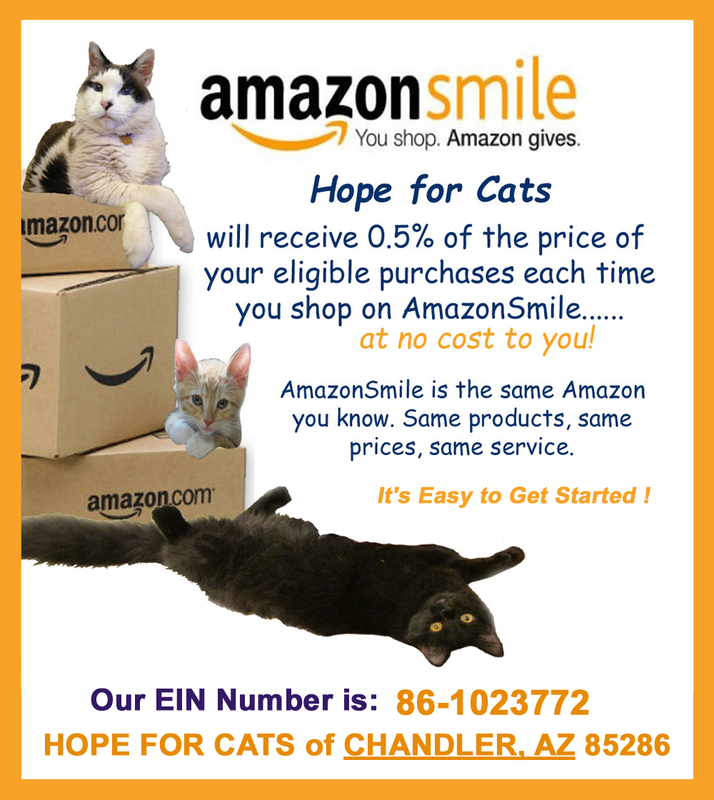 The only difference is that Amazon will donate to Hope for Cats 0.5% of any eligible purchases that you make! Get started by clicking on the link below. 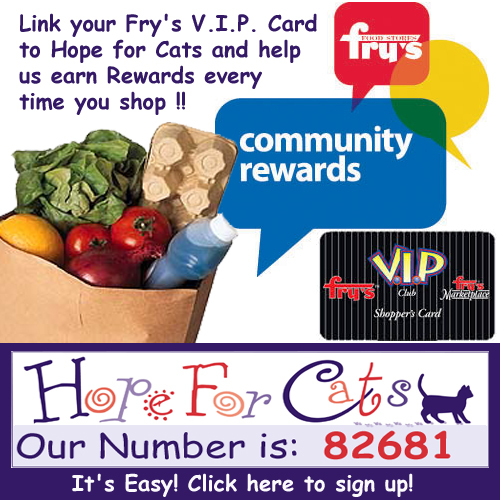 Link your Fry's V.I.P. Card to Hope for Cat's. Get started by clicking on the link below and remember to renew your card every year anytime after September 1st. Thank you! Fry's Card every year after September 1st! clicking on the button below. sent to your e-mail address. All donations are tax deductible and very much appreciated!